on October 20th & 21st from 10AM-5PM. 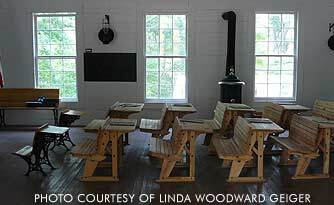 The Talking Rock Schoolhouse was originally a two-story frame schoolhouse constructed in Ludville as one of the first schools in Pickens County in 1877. With the coming of the railroad through the present village of Talking Rock, the economic center of the county moved east. The Ludville School was moved to Talking Rock about 1883. 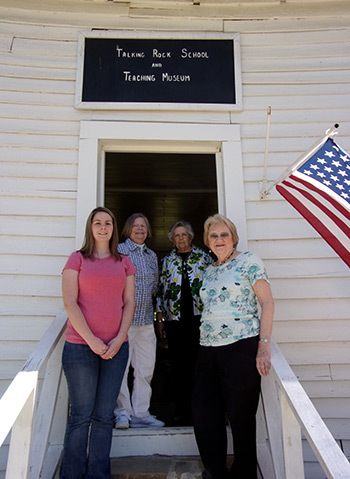 The building served as a schoolhouse until 1933. In 1940 the second story was removed from the structure. Today the building is now a delightful museum interpreting early schools.